What causes sleeplessness and how can you fight it? Ramadan is not only that auspicious month in the Islamic calendar, but also a chance for people across different cultures to get a taste of some of the most mouth-watering and sought after festive dishes, cooked with utmost dexterity. One such example is the raan, which is popularly cooked during Iftar, and is a must try for all the meat lovers out there. Once considered a great finger licking experience for the great Mughal Kings, it goes way back to nomadic roots, developing in campfires and military kitchens in Central Asia as food for tribesmen and warriors. 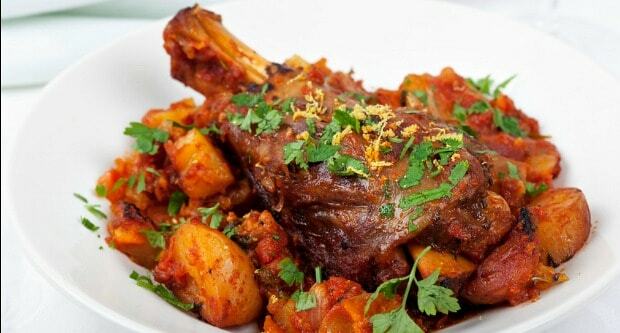 This lamb dish is cooked with the toughest cut of the lamb – the hind leg, which is usually used for keema. 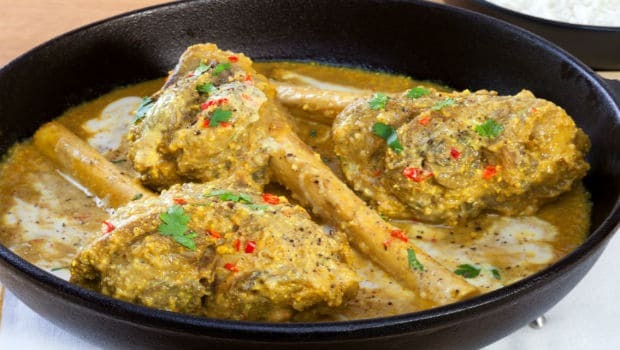 The secret to cooking raan lies in taking the toughest meat of the lamb and making it so tender and succulent “that you are able to eat it with a spoon”. Yes, that’s the challenge experts confidently swear on. A decade old trick is in taking half a seer of mutton (0.625 grams) and then cooking it in half a seer of chaach or buttermilk. This slow cooking in buttermilk is what breaks down the tough membranes and softens the meat. All these complex techniques and yet the raan is presented in the most simplest yet beautiful of all ways. That probably is another challenge on its own! 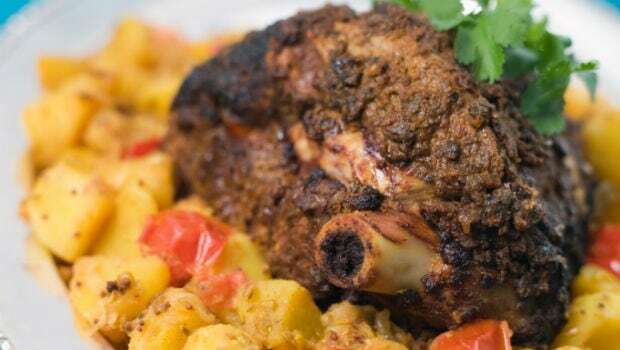 Bukhara Shan-e- Raan: This style is the most well-known raan in India, thanks to ITC’s Bukhara. Their style consists of trimming the white membranes around the leg, which reduces the toughness of the meat. Papaya is used as a major tenderiser for the dish, along with malt vinegar to give an edge to its texture and flavour . Peshawari Raan: This native dish of Peshawar is an explosion of flavours, aromas and texture that give one a rather palatable insight into North West Frontier cuisine. The lamb has to be of top notch quality and the recipe requires spices such as cayenne pepper, turmeric etc, to be freshly ground so they can retain their most fragrant form. The dish remains incomplete without a tablespoon of saffron (zaffran), the threads of which are first soaked in boiling water and provide for an elusive texture and aroma. Raan Dumpukht: ‘Dumpukht, or ‘air cooked’ in Persian language, refers to a hot steam inside the container. It is a style of slow cooking, wherein meat or vegetables are cooked in a sealed container on low heat for a long time. It is believed that Mughals brought this style of cooking to South Asia but was revived and refined in the 18th century by Nawab Wazir of Oudh’s royal chefs who cooked many recipes using this technique apart from just big chunks of meat. The dish is left for hours to simmer slowly after being sautéed, placed and sealed in the heavy metal cauldron over a hot bed of coals. Today, essentially inspired by the Afghani-style Dumpukht , it makes use of very few ingredients and the big pot is layered with chunks of ‘charbi’ or lamb fat , then meat and vegetables are placed over those layers. Kuzu Tandir (Turkish-style Raan): Considered to be the most beloved lamb dish in Turkish cuisine, the technique is an entire different ball game. The name ‘tandir’ comes from the historic practice of cooking meat in a special oven made from a pit in the soil, which were lined with a mixture of thatch or goat hair and mud. Later, after drying them in the scorching sun of the Asian steppes, wood and coal would be burned inside and lamb would be hung over the coals from a suspended hook. The Seljuk Turks and their ancestors from central Asia practiced this for centuries and this method still lives on in Turkey, Greece, the Caucasus, Afghanistan, India and Pakistan. Today, the name ‘tandir’ also popularly refers to any meat roasted slowly in its own juices over coal, on the stove or in the oven. Sikandari Raan: This story dates back to when Alexander the Great defeated Porus, and when the latter was asked how he wished to be treated, Pourus said he desired to be treated like a king. Alexander then got a special feast prepared where this raan is believed to have been served. Consequently, this dish acquired its name from the conqueror, i.e. Sikandar. Here, the raan is wrapped in rotis and cooked in a barbeque grill for two hours, resulting in that soft, falling-off-the-bone, tenderised meat. It uses Kashmiri chilli powder and dried fenugreek leaves (kasoori methi) with great precision, giving this raan an intricate flavour. It is usually very spicy and served with chilled buttermilk (chaach). This rustic and hearty raan boasts of a shahi taste that will leave you wanting more. Slow cooked mutton leg served with roasted potatoes and fresh steamed vegetables. This zesty mutton dish is a must try for all meat lovers. Leg of lamb marinated in a variety of spices, cooked over slow heat and topped with an onion gravy. Click here for another version – Microwave Version.